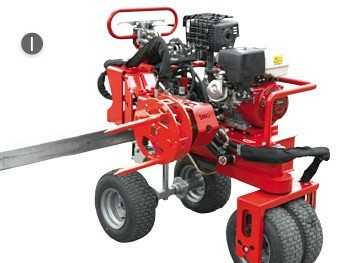 TurfBoy TB2 is driven by a 16 HP air-cooled petrol engine. Due to its very compact design the machine is ideal for the work on sand infilled tennis courts or sand/rubber infilled pitches such as futsal courts. 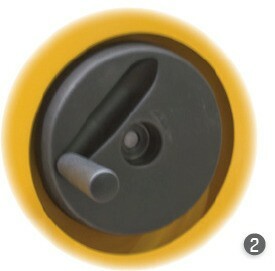 The working depth of the rotary brush can be adjusted via two spindles. 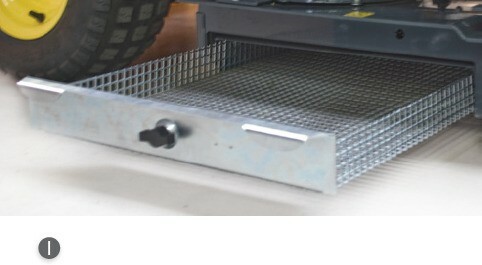 The vibrating screen can be precisely adjusted, with variable settings from 4 to 10 mm, depending and in accordance with the condition of the infill material. You can easily clean the filter by turning the handwheel. The brush housing and the drag brush row at the rear of TurfBoy TB2 can be lifted from the driver position. 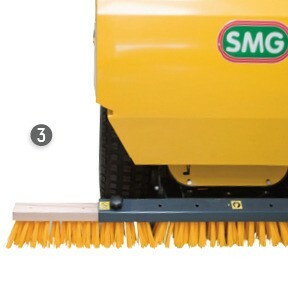 The drag brush stands on the left-hand side of the machine is overlapping it by 20 cm. Such positioning makes it possible to reach edges and corners. Due to the detachable trailing brush row, the TurfBoy TB2 can pass even doors of 1 metre width.